With a little care and attention your Marmoleum Floor will stay looking good through out its life. Marmoleum has a strong, durable protective layer- Topshield2. This innovation from Forbo ensures a highly effective shield against dirt and scuff marks. The floor takes more punishment than almost any other furnishing in your home and we have designed a finish and a cleaner especially for your Marmoleum floor. These will make care easier and enhance the richness of the colors. Question How often should I clean my Marmoleum Floor? Answer This will depend on variables such as the type of use it gets and whether dirt has been brought in from outside. Sweeping, vacuuming or dust mopping is likely to be the most frequent procedure. If the floor is muddy it can be cleaned with a damp mop, making sure the dirt is rinsed out of the mop and not spread back onto the floor. Question What if my Marmoleum floor is really dirty with ingrained dirt? Answer Ingrained dirt will have to be removed with friction. A scrubbing sponge is ideal for these situations. Use care in spot cleaning and be sure not to use cleaning tools that can be too aggressive. In larger spaces, you can use mechanical methods. Small rotary floor machines and wet vacuum cleaners are very good at cleaning and removing the ingrained dirt. After cleaning, allow the floor to dry completely before allowing traffic. Question If I stain my Marmoleum, what should I do? Answer The vast majority of spills can be cleaned off your Marmoleum satisfactorily. If there are spills or pet “accidents”: 1. Act quickly. 2. Scrape or blot as much as possible. 3. Mop the floor with a solution of Forbo Neutral pH Cleaner. 4. Damp mop with clean water. 5. If necessary, repeat steps 3 and 4. If the stain persists, as it may with glue, varnish, paint, ink, tar, cosmetics, shoe polish, some wines, coffee and some other substances, you may need to allow the solution to sit or “dwell” on the floor for several minutes. Rub the stained area with a green nylon kitchen pad then rinse the area with clean water. Repeat if necessary. 6. 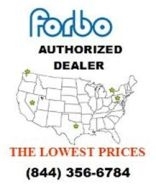 If the stain persists, contact Forbo Technical Services before trying any other procedures. Do… • Dry dust the floor as a fast and easy way to keep your floor free from loose dirt. • Mop up spills as soon as possible, prevent SPOTS from becoming STAINS. • Remember to rinse the floor after cleaning. Any remaining cleaning solution left on the floor can attract dirt. • Use a clean mop on the floor. Separate mops should be used fro the cleaning solution and rinsing the floor. • Clean your Marmoleum on a regular basis. • Use entrance mats to help protect the floor from outside dirt and debris. • Make sure chair and furniture legs are covered with felt protectors, furniture caps or similar protectors. • Use care when moving heavy objects. Don’t… • Mix cleaning chemicals unless specified by the manufacturer. • Apply furniture polish or silicone products onto the Marmoleum. • Apply finish to a floor with surface dirt. It just seals the dirt in. • Apply thick coats of finish. Two or three thin coats are better than one thick one. • Use too much water when cleaning Marmoleum. Please download Forbo's Residential Floor Care Guide for step-by-step guidelines on cleaning your Marmoleum floor. DRYING ROOM YELLOWING / AMBERING Marmoleum is made from natural materials and many of its most desirable performance attributes (durability, anti-microbial properties) are the result of the continued oxidation of the linseed oil over its life. During the manufacturing process while the Marmoleum is maturing in the drying stoves, a yellow cast, called “drying room yellowing” or “ambering” may appear on the surface of the material when it is initially taken out of its packaging. This visual discoloration is only TEMPORARY. It occurs intermittently and with varying intensity. It is most noticeable on blue and grey shades of Marmoleum. When the material is exposed to light, the drying room yellowing will disappear. The process may take as little as a few hours in bright sunlight or longer with artificial light. Because this is a natural occurrence in the product, there is no set time frame for the yellowing to disappear. This is NOT a material defect. In regards to floor care, applying floor finish to the material before the drying room yellowing disappears will make no difference; it will still disappear with exposure to light.